Full Grooms only £25 -cheapest and best Dog Grooms in Manchester, Open until 9pm evenings for Manchester Customers convenience. There is security access to safeguard our customer’s pets. Callers at our Fixed Salon premises without an arranged appointment may be disappointed to find we are busy, and unable to answer to anyone just turning up. Always ring first for an appointment. 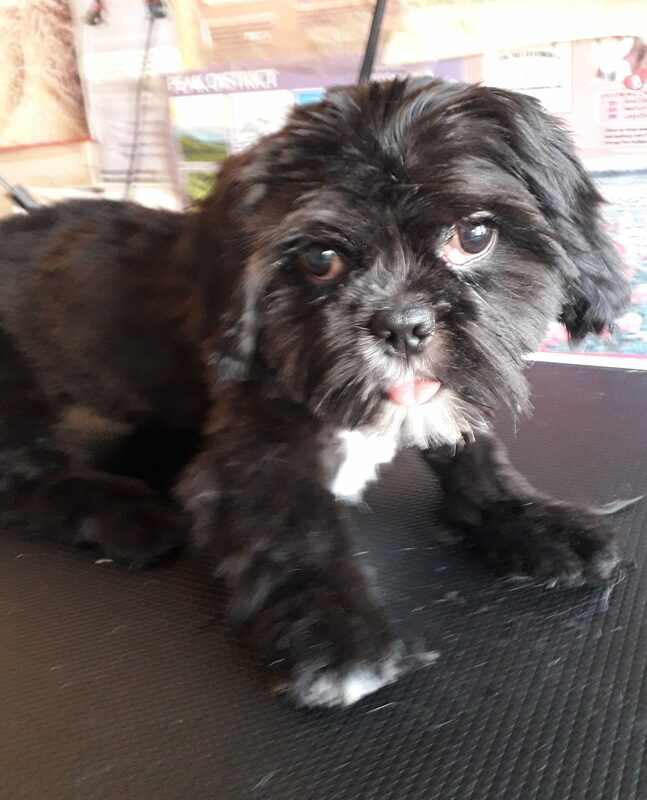 All dogs that come to us for grooming are fully attended to by way of the Pre grooming processes and health checks displayed on our “About Us” page. These are kind and essential steps, not to be rushed, in order for a professional groom to be carried out. Very professional from the moment I called to book. When I took my pet Schnauzer , Herby, the owner Steve worked off a photo I text to him of how I wanted Herbys hair. He did exactly what I asked and kept me informed during the groom of how Herby was doing. Very friendly and good place to take your dog fro grooming, would definitely recommend to others. At Just £25 for my Large sized Red Setter this Dog Groomers provides Amazing Value. I found the website of this business when I saw they did Full Grooms for just £25. I rang and received a very polite and courteous response to confirm that "Full Groom" meant everything was included - i.e.Bathing -in decent skin friendly shampoo - Hair cut to my requirements - Nails cut - Hygiene areas cleared - Foot pad hair and debris cleared and so on. I booked Charlie in and they did Exactly what it said on the Tin - and very well indeed too. At so many groomers now you find even Nail Cutting can add £6 to £10 Extra to your bill - and the price you get charged is much higher than on some Groomers websites. Yew Tree Dog Grooming really do everything it says on their website, and given that they have only one dog there at a time and no others - with a private garden and no Cages - you are at ease from the moment you arrive. Before collecting Charlie - I even received photos on my phone of the Before and After Groom pictures to make sure I was happy with how he looked. My Charlie was treat like a star - and the owner even declined when I tried to leave £30 - saying "No" £25 is the price and that is what you pay. Excellent value - and Free Monthly Nail cutting for all regular customers too !! I booked this dog groomer on the strength of their dozens of five star reviews. I was certainly Not disappointed. My two Cavapoos and my Pomeranian now look ever so good. They also smelled beautiful as the Baby fresh shampoo they use at yew-tree is one of the best around. (and they do Not water it down thats for sure. also booked Personal Training sessions for myself with the business owner, Steve - and found this service he also provides is top rank. As a 62 year old I need to stay active and the exercise programmers he designed for me are very motivating - I now have NO Intention of looking or acting my age, Fair play to this guy - he knows his stuff with both dogs and Personal Training. Today was the first time Teddy & I had the pleasure of meeting Steve. We were desperate for a new groomer after Teddys old place suddenly closed down without warning and Steve so graciously fitted us in for a full groom without hesitation. Teddy is a very sensitive girl and I am always worried about leaving her. But today was an exception and Steve was fantastic with my girl from the moment he saw her. He spent time with her getting to know her and gain her trust and gave her play breaks in between grooming which she really enjoyed. I was updated of her progress throughout the day which included lovely pictures and was given great advice on her care and what grooming tools she required on picking her up. All in all Yew Tree Groomers are Fantastic and I highly recommend them for all of your dogs grooming and pampering needs. I for one won’t be going anywhere else from now on as Teddy has found her new home away from home. Thanks again Steve for a wonderful first visit, we look forward to our next. Just taken our 3yr old Pomeranian to meet Steve for the first time. We have only had her for a few weeks and we were very nervous to leave her but Steve was fantastic. He explained everything to us, and he spends lots of time playing with her to build trust and keep her happy and calm. We picked her up after a few hours and she was happy and looked and smelled lovely. He gave us great advice on the cut she needed and took time to look at specifics to her breed as well as offering updates, we got pictures and he checked a few thing while she was there on watts app. He only has one dog at a time so he gives his full attention to your dog, which for me was really reassuring. He also offers a great free 4 weekly nail trim for the doggy he grooms. We would Highly recommend him, Lady is looking forward to her next visit. 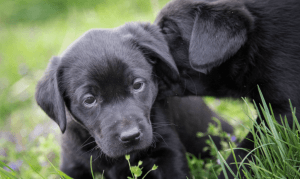 We are a dog loving family in Manchester, dedicated to the love and attention to dogs, and the rewards this brings in the empathy and affection they give in return. Live your dream is good advice- so we became professionally trained City and Guilds Dog Groomers local to the city of Manchester, covering areas such as Didsbury, Fallowfield and Chorlton.